Edited: Until now I hadn't got this movie in HD and dubbed into spanish, so updated and upgraded this Cadillac Movie. I'm sure all of you will enjoy with this "Cadillac Movie", specially Mr.Cadillac&Animatronixx, among others Cadillac fans of the site, of course. Enjoy. I hope finish completely the movie in a few days. Enjoy. All Cadillacs submited. The rest coming soon. I have tried to ID Cadillacs the better I have could. Probably there are mistakes, so please edit what I have done wrong. I second that! And you did quite a fine job identifying most of them correctly, vilero. As http://us.imdb.com/title/tt1042877/goofs says "Anachronisms: Numerous incorrect cars used in the opening scenes set in 1941-1947. Many '53-'56 automobiles are used in every shot". No Cadillacs of the 70s, 80s, or 90s! taxiguy wrote No Cadillacs of the 70s, 80s, or 90s! - but I own it as the original. How embarassing, to disguise it as an Cadillac. Yet they still included the Godawful Escalade. I've noticed it. But it's only one single car between all the real classics, so it's hasn't destroyed the impression too much. They should have placed a CTS there for that scene, instead of sticking a Escalade in it. It didn’t go with movie. Is the movie worth watching (aside from those pieces of art )? Goof: In 1952 you can see the 1952 Ford (behind the man) parked in front of "Chess Records". When the 1957 Cadillac Fleetwood 60 Special is going to crash against "Chess Records", the 1952 is there. 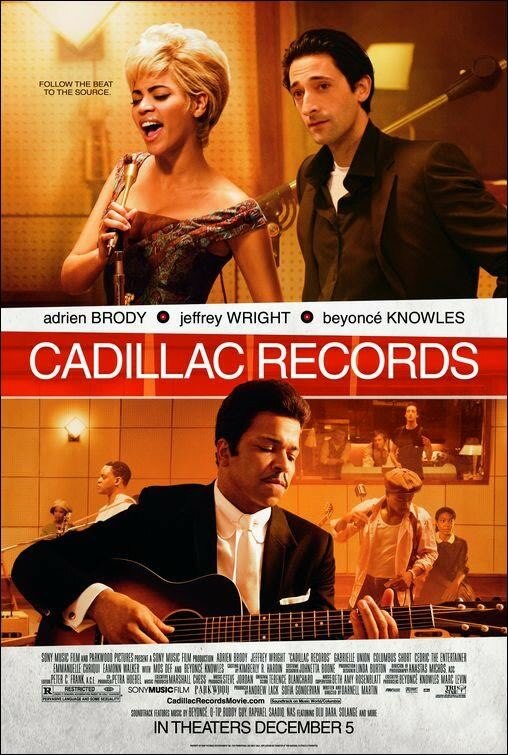 And finishing the movie, after the scene when Adrien Brody is leaving "Chess Records" driving his pretty 1960 Cadillac Series 62 still is there the 1952 Ford. So can some users make a telephone call to the police tow-truck of that City, please.....at least, 8 years parked in the same place I think is enough. Crazy about collectible Cadillacs and Rock 'n Roll? This movie is a MUST. I enjoyed seeing it three times over ! Seems as if Cadillacs survived in better numbers over the years than less prestigious cars.I seem to see more old cadillacs roaming around after 40+ years than Pontiacs, Buicks, oldsmobiles, Chryslers and Mercurys. Oh, while we're on the subject....I recommend everyone go on youtube and listen to the song "Back In A Cadillac" by Coco Montoya...good blues tune with great lyrics. Now I want a Cadillac after hearing it! Disagreeing in full. The Cimarron and Catera were crap, no doubt, but the Seville was a good looking thing, and the DTS is one of the most beautiful ones to come out of the factory in recent years. thestig8 wrote and the DTS is one of the most beautiful ones to come out of the factory in recent years. I just got a 1964 sedan deville... im looking at all caddy movies now!! !